The rapid growth and importance of intergovernmental coordination in the regulation of markets, transportation and communication, the environment, and national security poses numerous challenges for democratic accountability within participating states. Direct public participation in the intergovernmental regulatory bodies is generally modest or absent. Information regarding their deliberations is limited. And the multiple oversight mechanisms and supervisory processes that exist at the domestic level of developed democracies that can scrutinize intergovernmental regulatory decisions tend to be lacking. This lack of accountability raises legitimacy concerns, the most prominent of which is the fear executive branch officials will delegate controversial policy decisions to intergovernmental bodies in order to escape democratic deliberation. In this paper we survey the ways that different review venues (other international institutions and national courts) are attempting to cope with these accountability related issues: we argue that national courts may prove to be the most effective venue for promoting democratic accountability. This is not because they are more reliably representative of their domestic constituency or possess a more cosmopolitan perspective than the bodies whose decisions they are reviewing. Rather their relative advantage lies in: (1) the increasing acceptance on the part of domestic courts that inter-judicial coordination is a prerequisite for their continued ability to fulfill their judicial review function; and (2) the visibility that the decisions of these courts possess. Acting together these two forces have the potential to foster greater transparency and public deliberation than most rival venues. Benvenisti, E. (2007). “Coalitions of the willing” and the evolution of informal international law. In C. Calliess et al. (Ed. ), Coalitions of the willing—advantage or threat? http://ssrn.com/abstract=875590. Accessed 23 January 2009. Edwards, M., Hulme, D., & Wallace, T. (1999). NGOs in a global future: Marrying local delivery to worldwide leverage. Public Administration and Development, 19(2), 117–136. http://www.gdrc.org/ngo. Accessed 23 January 2009. McNollgast. (2006). Conditions for judicial independence. 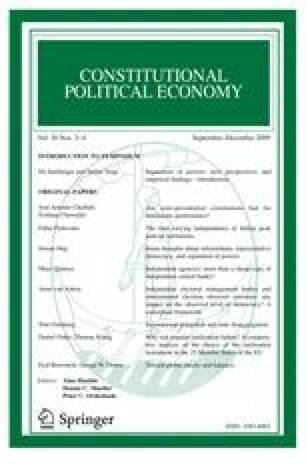 Journal of Contemporary Legal Issues 15. http://ssrn.com/abstract=895723. Accessed 23 January 2009. Schultz, N. (2006). Was the war on Iraq illegal? The German federal administrative court’s judgment to 21st June 2005. German Law Journal, 7:26–44. http://www.germanlawjournal.com/pdf/Vo107No01/PDF_Vol_07_No_1_25–44_Developments_Schultz.pdf. Accessed 23 January 2009. U.S. National Security Council. (2006). The national security strategy of the United States of America. http://www.whitehouse.gov/nsc/nss/2006/nss2006.pdf. Accessed 23 January 2009.